How many of you saw the MY Steve Irwin of Double Island Point in early August? Well, the staff at Wolf Rock Dive exclusively got up close and personal. 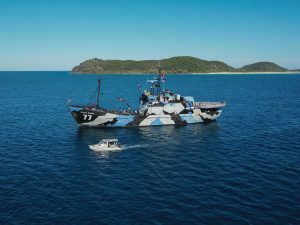 August 1 saw Wolf Rock Dive owner, Alex, and dive instructor, Emily, leading Sea Shepherd volunteers and Steve Irwin crew members on the dive of a lifetime. Wolf Rock pulled out all the stops for our environmentalist guests, with five different species of rays seen less than ten minutes into the dive, large loggerhead turtles, sea snakes, leopard sharks and about 70 pregnant grey nurse sharks. 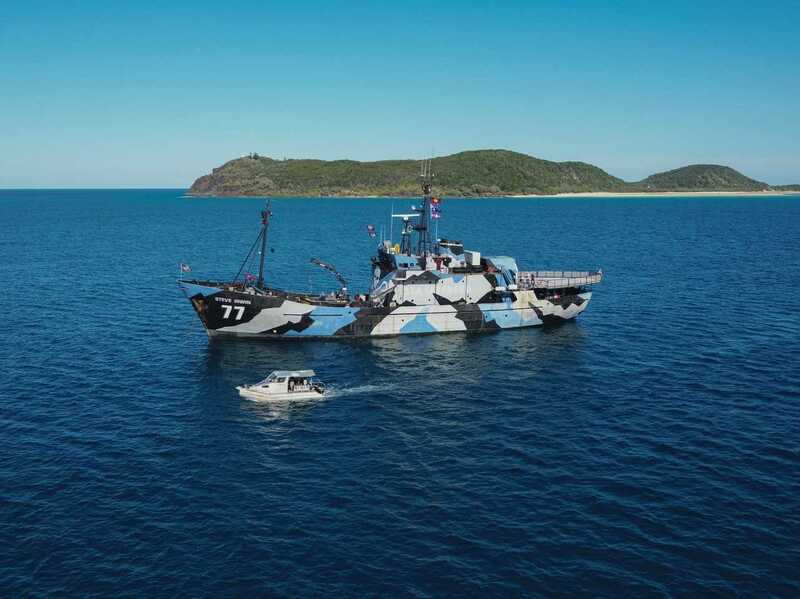 Our nine guests, including the director of Sea Shepherd Australia, were completely overwhelmed by the animals on display and even some tears were shed over the majesty of the dives. By the end of the day, all were convinced that Rainbow Beach is an incredibly important marine site, the protection of which is crucial. The aggregation of species (several endangered) is a unique phenomenon at Wolf Rock, as it is the only known site on the east coast of Australia where pregnant grey nurse sharks are found. Grey nurse sharks are harmless sharks which are critically endangered on the east coast of Australia, and while they can be found in other locations around the world, they are essentially sub-speciated, meaning the GNSs only breed with other in their specific population. Therefore, protecting the pregnant sharks at Wolf Rock is vital to keep the species alive in Australia.